Oracle Student Learning Subscription courses are self-paced, on-demand training that lets students get started with careers as Java and Node.js programmers, SQL and PL/SQL developers and Oracle Database and system administrators. 97 percent of Fortune 500 companies run Oracle solutions. With skills and certification from Oracle, your resume gets noticed, your chances of landing your dream job improve, you become more marketable, and you could earn more money. Whether you’re trying to break into the field of IT or are looking to advance an existing IT career, this approved, self-study training can help you Learn, Practice and Get Oracle Certified. Each Oracle Student Learning Subscription course has everything designed to help students acquire the real-world knowledge and skills that are in such high demand in the IT industry. You learn directly from Oracle experts, thereby providing a true Learn Oracle from Oracle experience. The content is direct from Oracle—the people who wrote the software! It includes high-quality video presentations, hands-on labs, and assessments. Connect to your course any time from anywhere via internet access. You will have unlimited use of the software, labs and videos in your course for 6 months. You work hands-on with the real software—just as you would in an instructor-led classes in a live, real-time environment. This high impact training costs less, reduces time out of the office plus saves the time and money you’d spend traveling to a center. Students do quizzes along the way and an assessment at the end to confirm if they’ve mastered the content and are ready to move on. Receive an exam voucher* with each class! Some certifications require you take training from an Oracle Approved Education Center such as Global IT! Java is one of the world’s most popular programming languages, and it is among the highest in demand by employers. Java runs on over 7 billion devices worldwide, and it is used to build the back-end for modern enterprise-web applications. It powers company websites, such as LinkedIn.com, Netflix.com and Amazon.com. Java is also excellent for developing enterprise applications in virtually any industry, including but not limited to financial services, healthcare and manufacturing. 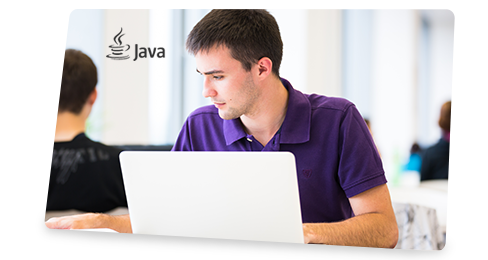 This Java SE 8 training enables those with little or no programming experience to learn object-oriented programming using the Java language. It provides a solid foundation to build upon throughout your software development career. Basic Computer Skill or equivalent. 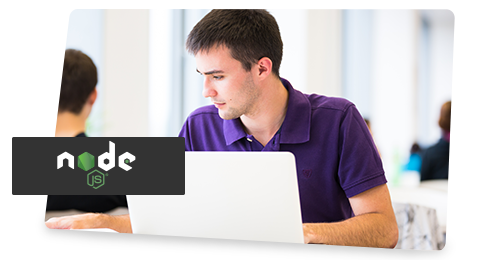 This Oracle Java course offers you an introduction to writing Java code that uses variables, arrays, conditional and loop constructs. Students will learn the object oriented concepts to manipulate and format data. Learn the concepts of relational databases and the powerful SQL programming language. Discover essential SQL skills that allow developers to write queries against single and multiple tables, manipulate data in tables and create database objects. Learn the SQL Language and how to retrieve data with the SELECT Statement and to Add, Remove, Change & Manage Data with DML & DDL Statements. Further enhance your skills as an Application developer by learning how to manage the database objects, data dictionary views and multicolumn subqueries and to write more efficient queries using the functions that support timezone and regular expressions. Basic Database Design or programming skills or equivalent. 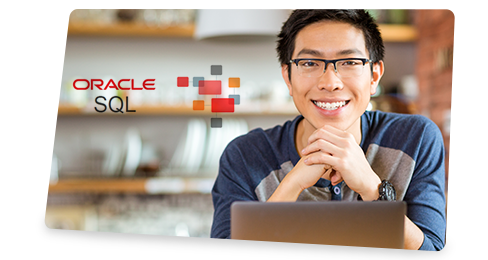 This Oracle SQL course offers you an introduction to Oracle Database 12c database technology. PL/SQL (Procedural Language/Structured Query Language) is Oracle Corporation’s procedural extension for SQL and the Oracle relational database. At run-time, both PL/SQL and SQL run within the same server process, bringing optimal efficiency. PL/SQL automatically inherits the robustness, security, and portability of the Oracle Database. As organizations seek to do more with their data, they need more professionals who can enable the correct and efficient implementation of the business functions and the persistence and retrieval of their effects and learning PL/SQL will provide you with these skills. Learn PL/SQL programming language basics, including the basic programming block structure. Learn conditional statements, looping constructs, and additional functionality to extend the use of SQL. Node.js is popular with developers for creating data-intensive real-time applications that run across distributed devices. Its popularity is also growing with organizations that are seeking to optimize high-traffic websites. Learn a set of programming skills that organizations are finding more valuable. Develop, integrate and deploy Node RESTful applications using Oracle Cloud services. Oracle Database 12c introduces a new multitenant architecture that makes it easy to deploy and manage database clouds and enables customers to take full advantage of the resource sharing, management flexibility and cost savings that cloud computing offers. Discover how to navigate in a Cloud environment with this Oracle Database Administration Student Learning Subscription offering. Learn basic Oracle Database administrative tasks in the Cloud. Discover how to manage the Oracle Database using Oracle Cloud services. To accelerate learning as a supplement to existing curriculum. As a stand-alone curriculum offering. As a self-paced offering to help learners quickly grasp the technology area that they are undertaking to advance their career. 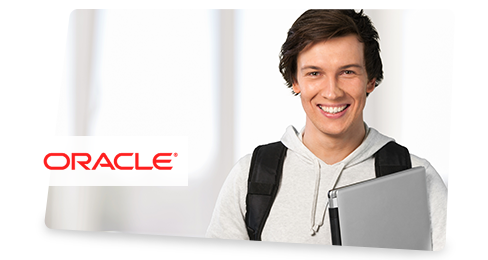 Why Purchase Oracle Student Learning Subscriptions from Global Information Technology? In some cases, only training from an authorized partner counts towards certification. Global Information Technology is an Oracle Workforce Development provider. The Student Learning Subscription courses on this page are approved classes that meet that requirement. Additionally, you can distinguish yourself on your resume by indicating you’ve attended Official Oracle training. Interested in becoming Oracle certified? Upon successful completion of the lectures, exercises and quizzes, you will receive the associated exam voucher for each Oracle On-Demand class (where applicable). These exams have up to a $400 value. Courseware After the Course. Get the eKit digital courseware that is used in the live, instructor-led version of this class. While the Oracle On-Demand access goes away after 6 months, you will have access to the “extra” digital courseware for an unlimited period of time. Why Oracle Student Learning Subscriptions? Unlimited course access for 6 months. During that period you’ll have unlimited usage of the course software, labs, ekit and videos. You can retake parts or the entire course as much and as often as you want within that time period. The content is recorded featuring demonstrations from industry experts. The self-paced video modules map to a traditional instructor-led course. There are chapter quizzes at the end of each module and an assessment at the end of the course. Unlike other self-study options, Oracle Student Learning Subscriptions give learners a live, real-time environment for hands-on training. In fact, they’re the same Labs Online environment used in the classroom. Full payment is required at the time of order. Global Information Technology accepts all major credit cards. After you’ve made your purchase, you’ll receive a confirmation email with details and instructions to start your class. You have 6 months access to the course from your date of purchase. A code may not be redeemed for cash, credit, or refund. Codes are not returnable and are void if altered. One (1) code can be redeemed for online access to one (1) Oracle Student Learning Subscription Class which is limited to one person. Additional regulations and policies may apply. Looking for Live class room Instructor-Led Oracle Training Instead? Global Information Technology also offers live classroom instructor-led or remote live instructor led Oracle classes.